Make your personal profile easy to get to by customizing your LinkedIn public profile URL. Instead of a URL with a ton of letters and numbers, it will look nice and professional like this: http://www.linkedin.com/in/georgeathan1. You can promote your personal LinkedIn page and help grow your professional network by adding a Profile Badge in your signature that links to your public LinkedIn profile. LinkedIn has several different badge designs to select from. 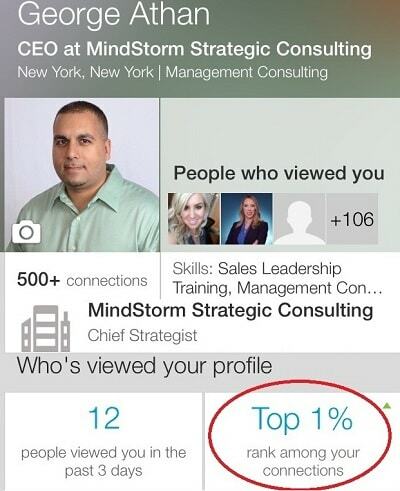 You can also optimize your profile to get found by others searching LinkedIn for key terms you want to be found for. Add these keywords to multiple sections of your profile for best results. LinkedIn allows you to add a variety of media such as videos, pictures, documents, links, and presentations to the Summary, Education, and Experience sections of your LinkedIn profile. This allows you to showcase different projects and provide samples of your work. This is an opportunity to prove that your product/service is the solution to your prospects problems. 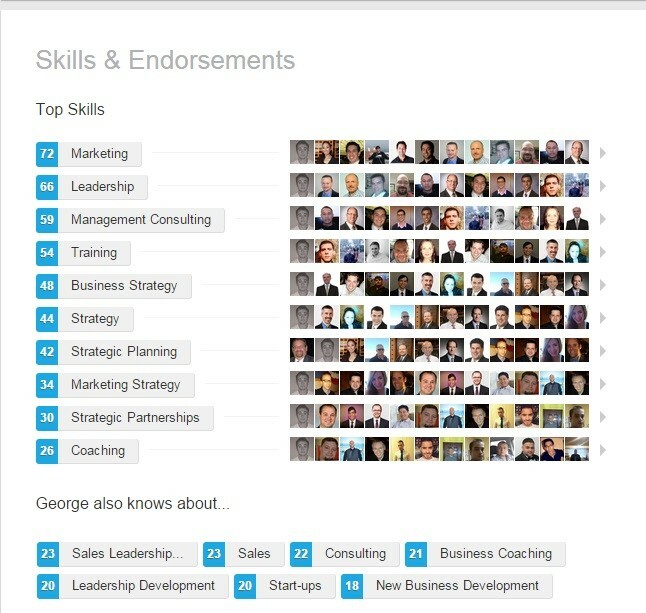 Endorsements allow users to endorse their connections for skills they’ve listed in the Skills section of their profile and even recommend skills they haven’t yet listed. This feature is another opportunity to show your prospects that your skills come highly recommended. LinkedIn only allows you to send messages to people with whom you share a first-degree connection with (aside from fellow group members). But some people let you send them messages anyway, even if you’re not connected. The ability to be part of the OpenLink network is only available to premium account holders, but it allows them to be available for messaging by any other LinkedIn member if they choose to be. OpenLink members will appear with an icon that looks like a small ring of dots next to their name in search results and on their profile. Request an introduction to someone you’re not connected to. You can request an introduction to contact a 2nd-degree connection from a connection you both have in common. Visit the profile of the 2nd-degree connection you want to connect with, click the triangular drop-down arrow near the top of their profile, select Get Introduced, choose which shared connection you’d like to request the introduction from, and explain why you’d like the introduction. LinkedIn Groups can be a great networking tool. If you’re a member of the same group as another user, you can bypass the need to be a first-degree connection in order to message them. Group members are also able to view the profiles of other members of the same group without being connected. Join more groups to enable more messaging and view more profiles of potential prospects. Create your own industry LinkedIn Group (or subgroups), and join other relevant groups. You could just create a LinkedIn Group of your very own. Create a group based on a relevant industry-related topic, and you become a LinkedIn Group administrator. You can then use this group to establish yourself as a thought leader in your industry, grow a following, and generate new leads. You should also get your team involved to participate in discussions that solve problems for prospects. One of the perks of managing a LinkedIn Group is the fact that you can literally email the members of your group — up to once per week. These emails take the form of LinkedIn Announcements, which are messages sent directly to the email inboxes of group members (as long as they’ve enabled messages from groups in their settings). This is a great opportunity to generate leads. You can @mention other users and companies in status updates — much like the way it works on Facebook and Twitter. If you want another LinkedIn user or company to see your status update just include the @ symbol immediately followed by the user’s/company’s name in your status update. That user/company will get alerted that you mentioned them, and their name will also link to their profile/page in the status update itself. Publishing content on Pulse (LinkedIn’s publishing platform). You no longer have to be a LinkedIn Influencer to publish new articles to LinkedIn Pulse. Publishing is now available to all users. Publish content from your business blog to LinkedIn Pulse and use it to promote your full blog to your LinkedIn following. To publish an article on Pulse, click the “Publish a post”, and start writing! As the dominant business social network, LinkedIn can help you generate a substantial number of leads. 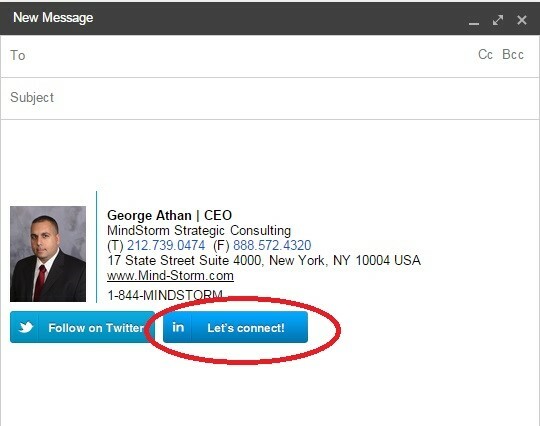 With email inboxes becoming oversaturated with commercial messages, use LinkedIn to stand out. Promote your offers, share blog posts, include landing pages, send messages, and use all the features we’ve discussed to generate many new leads for your business.